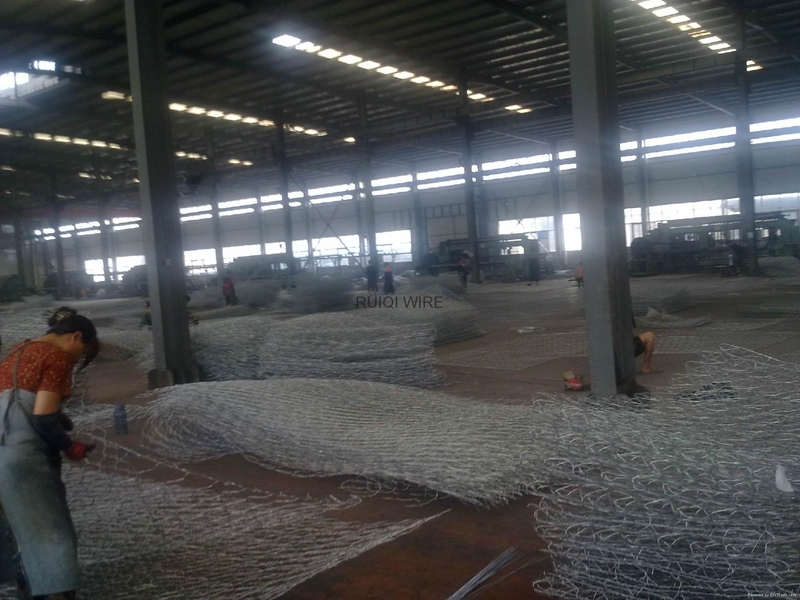 Gabion is a rectangular wire mesh box made from double twisted hexagonal mesh of steel wire, additionally reinforced by selvedges of heavier wire running along the edges and by transverse diaphragms. These woven mesh boxes are delivered to site flat-packed, where they are assembled, lifted into position, and filled with durable rock. The modular nature of the gabion means that it can be used in a vast array of applications and configurations. They can also be easily amended on site and shaped to suit project requirements. 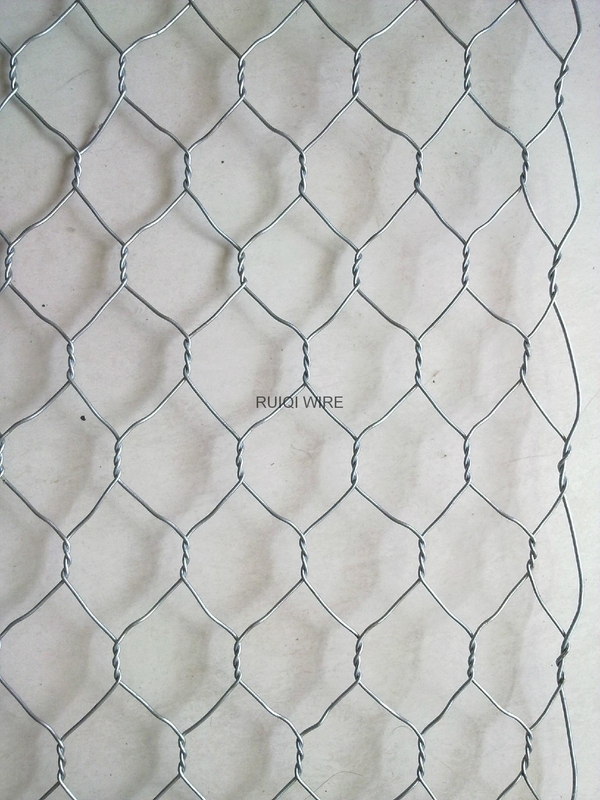 Our double twist woven mesh gabions are ideal for accommodating differential settlement and will not unravel or unzip even when exposed to extreme loads or when wires within the mesh are cut or damaged. 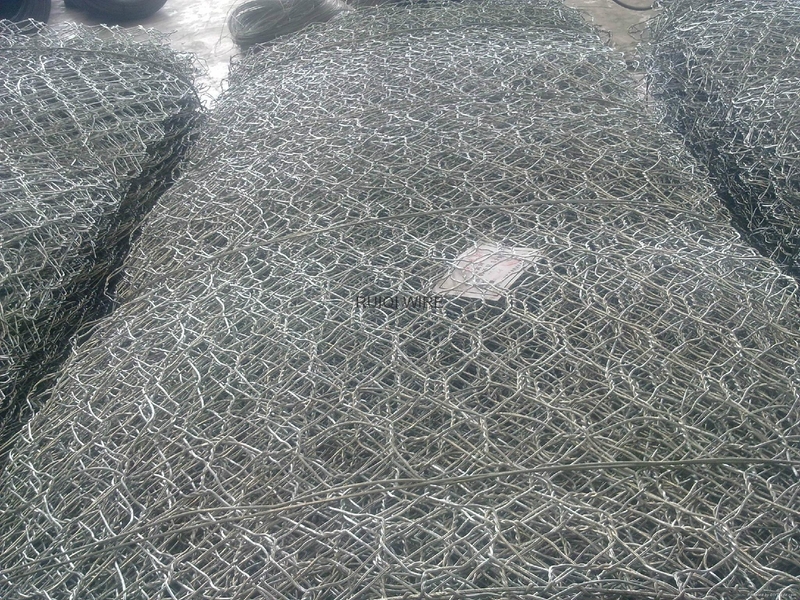 No other retaining structure can accommodate differential settlements as well as a woven mesh gabion wall. 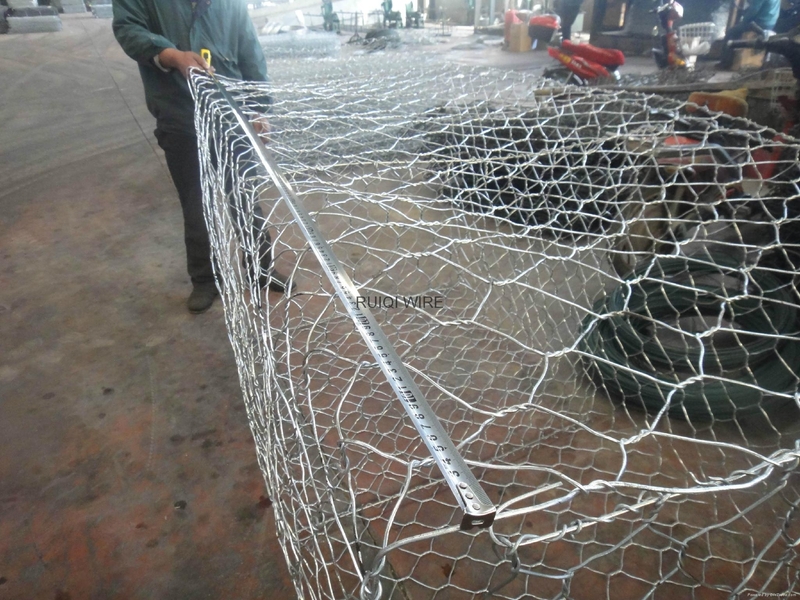 Gabions are available with a galvanised finish or with an additional PVC protective coating or as Galfan coated units. Galfan is a high performance galvanising process using a zinc/aluminium/mischmetal alloy coating. This offers significantly greater protection than traditional zinc galvanising. Where the product is exposed to water courses or a saline environment, we strongly recommends a PVC coated galvanised unit for improved design life. Gabions are installed after filling on site with stones in order to create a flexible, permeable and monolithic structure such as for retaining walls, river bank protection works, weirs and erosion control works.